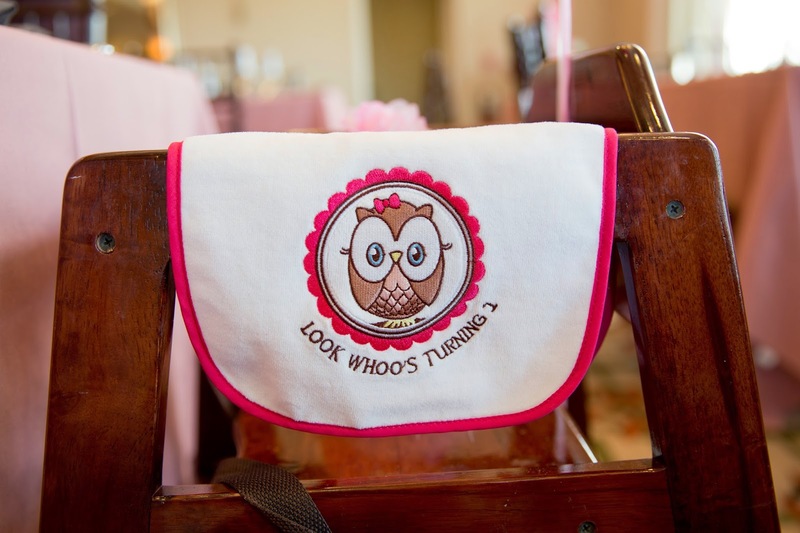 When our niece Keira turned 1, we celebrated with a “Look Whoo’s Turning 1” themed party. 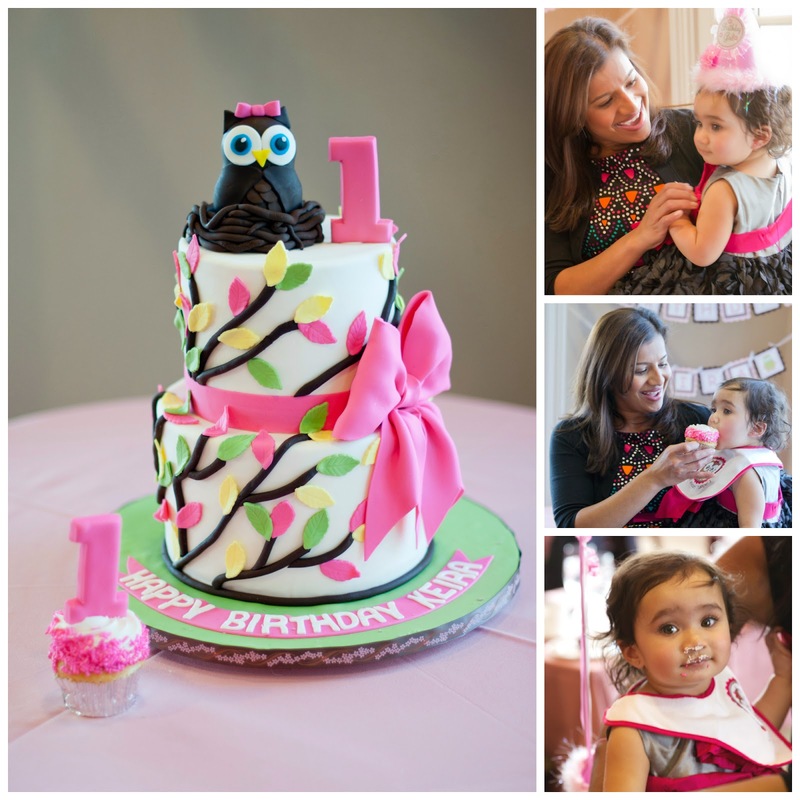 This theme was fitting for the little night owl and coordinated PERFECTLY with her monthly birthday stickers. 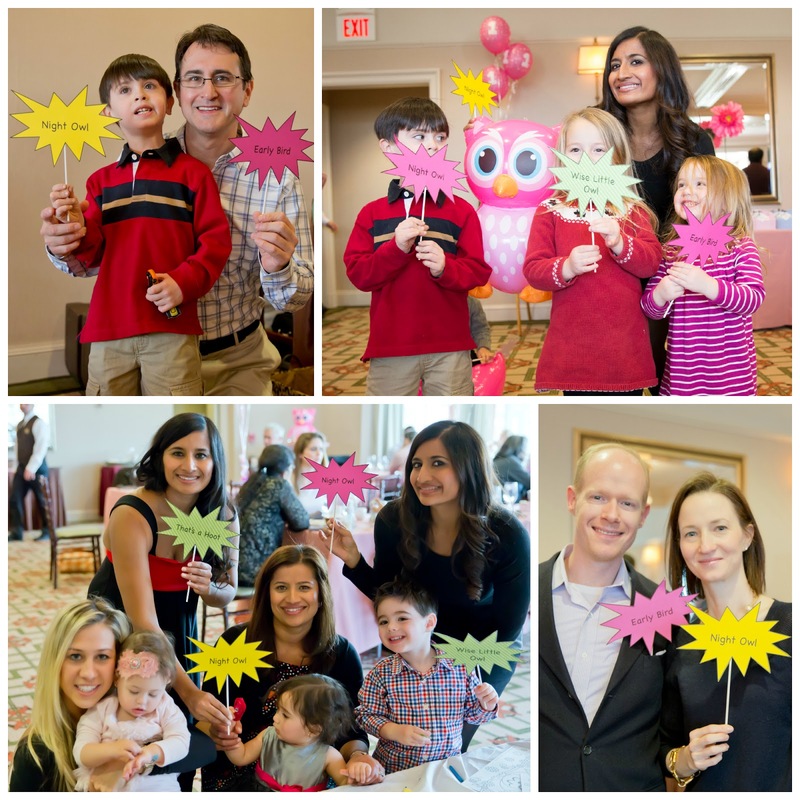 We had a HOOT at the party and we are very excited to share all the details with you! Our sister and brother-in-law hosted the party at their country club. 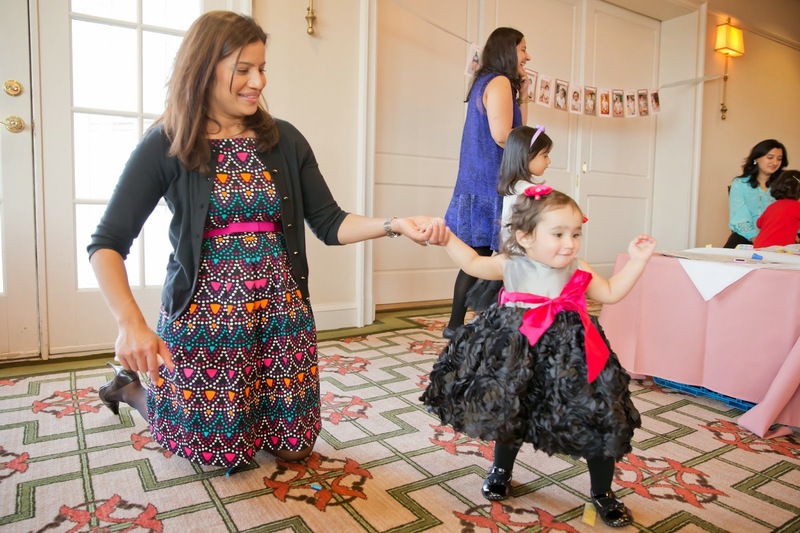 We wanted this party to be GIRLY and selected a pink, white and brown color palette. 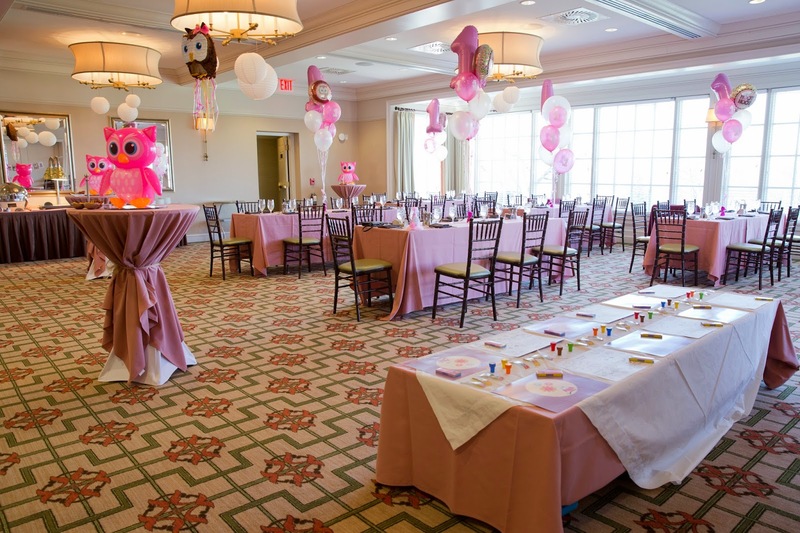 The table centerpieces included a beautiful pink and white balloon bouquet. We placed adorable pink inflatable owls on the cocktail tables. We highly recommend these for any owl themed party as the toddlers LOVED playing with them. We hung a pink owl piñata on the chandelier. We also set up an activity table with coloring mats, crayons and owl stampers to entertain the children. 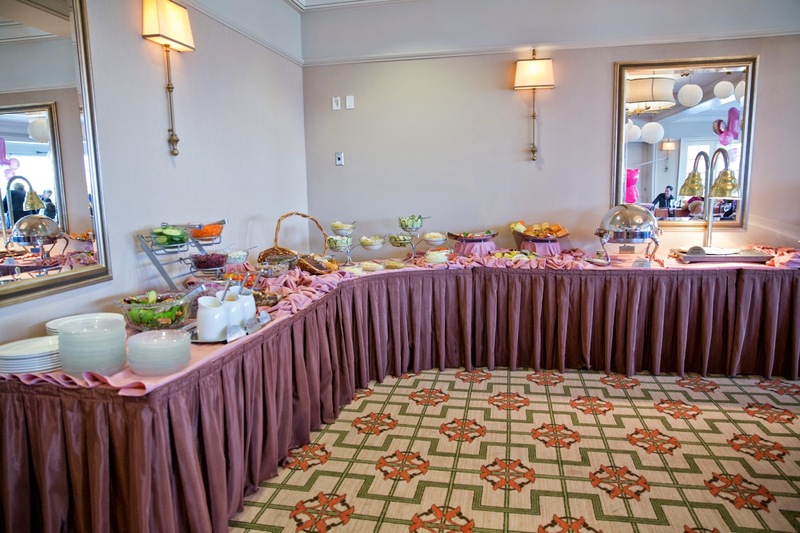 The welcome table featured a balloon bouquet and pictures of Keira and her family. 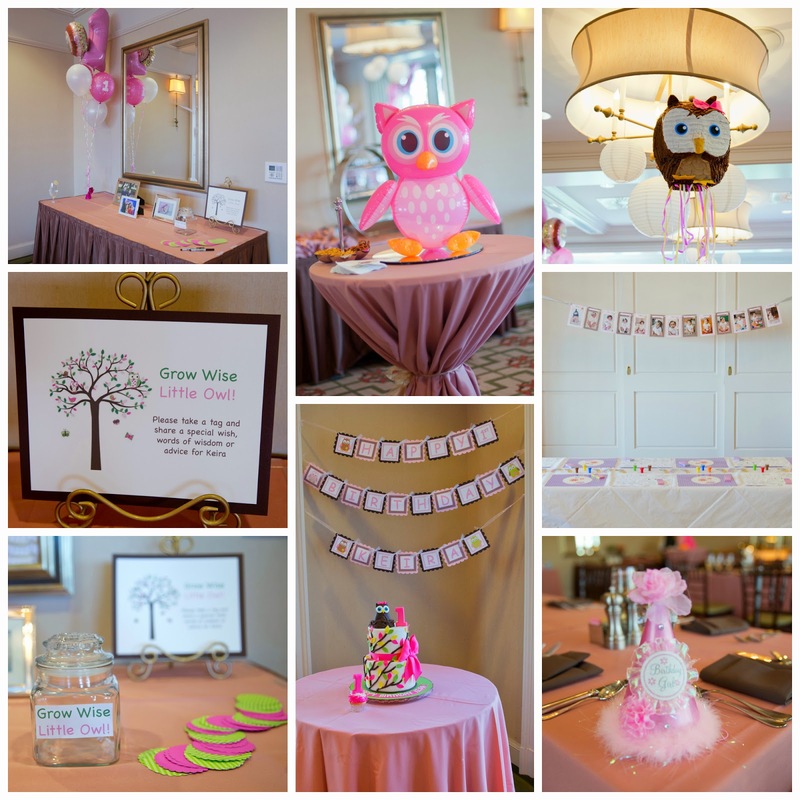 In keeping with the owl theme, we asked guests to write a special note for the LITTLE OWL to help her GROW WISE! We ordered two beautiful owl themed banners from Etsy. We hung the Happy Birthday Keira banner above our owl cake. We placed a second banner with her monthly birthday pictures above the activity table. Mother Mousse, our favorite bakery, created a beautiful 2 tier vanilla cake with chocolate mousse. Trust us, it was delicious. The kids had so much fun coloring, stamping and playing with the inflatable owls! We LOVE Photo Booth props. Kanchana created these adorable signs: Night Owl, Early Bird, Wise Little Owl and That’s a Hoot. 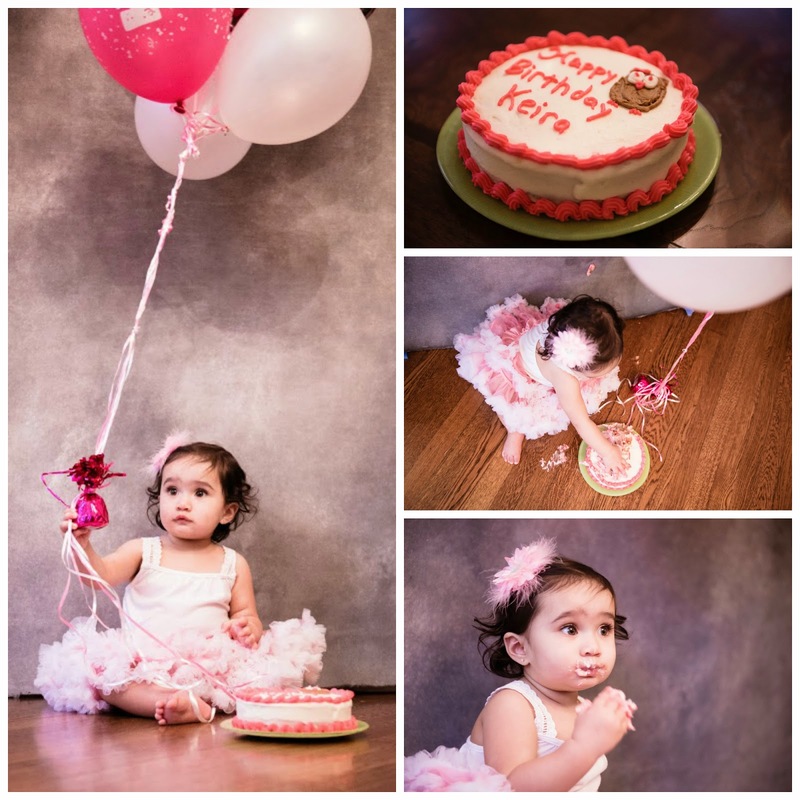 We all had a hoot at Keira’s first birthday party. 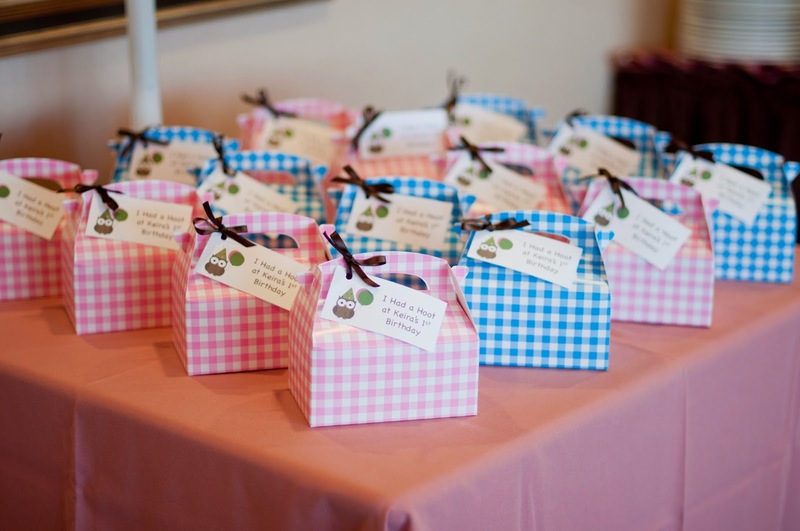 The kiddos loved the favors boxes, which we found from Birthday Express. 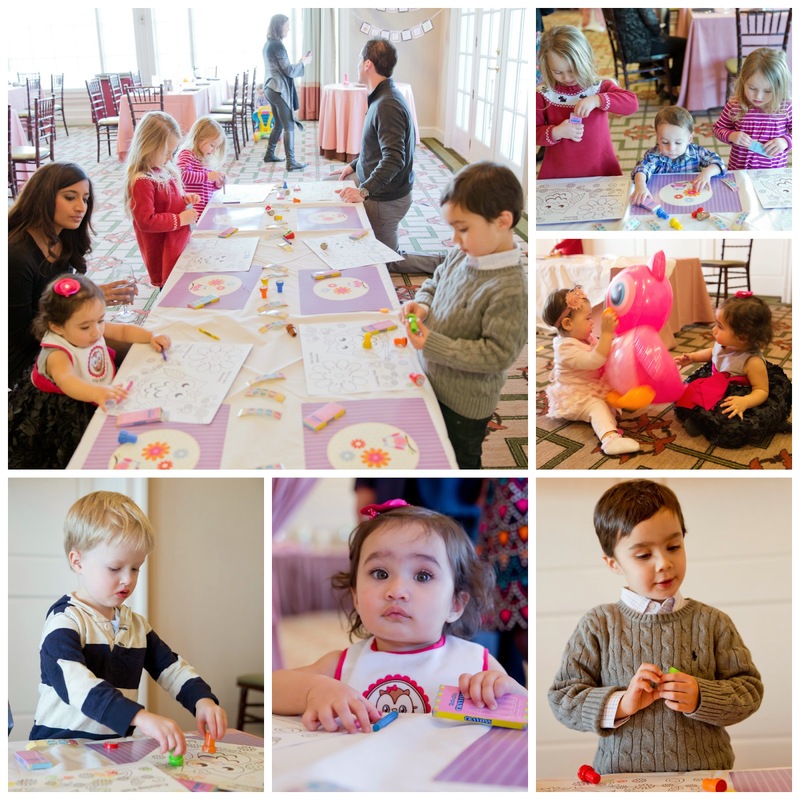 The favors featured a mini owl, pinwheel, bubbles, crayons and mini activity book. We secured each box with an adorable “I had a hoot at Keira’s Birthday” tag. This special little owl had another party on her actual birthday. The intimate family celebration began with opening presents and concluded with Baked By Archana’s delicious owl cake. Our good friend, Ingrid, captured this celebration in the photos and video below. Next Post A MARVELous BIRTHDAY!